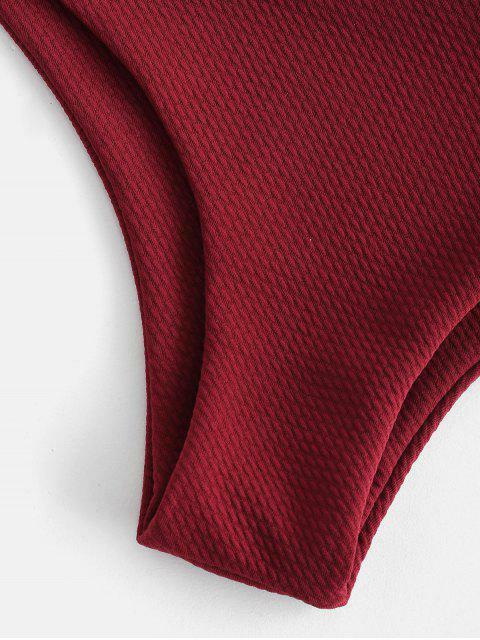 [25% OFF] 2019 Textured One Shoulder Bikini In RED WINE | ZAFUL ..
Looks exaclty like the pictures! Out of all the bathing suits I ordered this was the only one that fit top and bottoms perfectly! The material is super thick and stays on great in the water. I usually wear M tops and small bottoms. Crafted from soft textured fabric, the style features a pull-on top which is cut asymmetrically in a one-shoulder silhouette and a pair of classic bikini bottoms. Complete your beachside look with an oversized broad-brimmed hat and wedge sandals.